It took all of 30 seconds for Mayor Kathi Hemken to spot a familiar face in New Hope’s Hy-Vee parking lot one recent morning. “I come here a lot,” she said, waving at a man and taking brisk steps toward a store that she had already visited twice that week. Since opening in 2015, Hy-Vee has transformed a former Kmart site into what many describe as a new community hub for the northwest suburb of 20,000. Teenagers often walk there from nearby Cooper High School for afternoon snacks or for their after-school work shifts. Friends meet for coffee at the Starbucks inside the store. Families venture to the adjoining Market Grille restaurant for meals. Residents and city leaders say the store is at the heart of a new energy stirring throughout New Hope. Across the street from Hy-Vee, work is now underway on a new City Hall and police station. A year-old Dunkin’ Donuts sits nearby, with the chain picking New Hope as one of the first Twin Cities locations for its re-entry into Minnesota. Single-family homes in a new housing development are selling faster and for more money than the developer expected. The city’s first luxury apartment building is taking shape near the municipal golf course, a $43 million project from Minneapolis-based Alatus LLC. And residents are taking notice of the changes, said Kirk McDonald, New Hope’s city manager. Like many inner-ring suburbs, New Hope has been built out for decades, with most of its housing stock constructed before 1980. And like its peers, the suburb has seen its population age and slowly decline over the years. Land can be tough to come by, pushing the city to make opportunities count. That has led city leaders to adopt an aggressive approach in their recent redevelopment efforts, scooping up certain spots in town as they pop up for sale and then seeking the right proposals from developers, McDonald said. That’s what happened when the city acquired a property near the golf course in 2008 and tore down some dilapidated apartment buildings on the site. 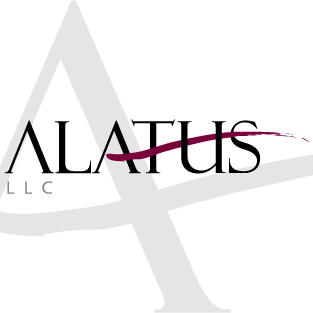 The land sat vacant once the Great Recession hit, but then Alatus came knocking a few years ago. Now a 182-unit luxury apartment building is expected to be completed later this year. A similar story unfolded in 2013 when the city snatched up a property where a closed school building sat after the site came up for sale. Centra Homes soon put in a 60-unit housing development, offering a mix of single-family homes and townhouses, which have sold for more than $300,000 on average. The sold-out community, dubbed Parkview, is considered New Hope’s first major housing development in decades. Then there’s Hy-Vee, a major part of the city’s recent momentum. It’s now the fifth-largest employer in New Hope, which the city said had gone for more than 20 years without a grocery store. The back story played out much the same, with the city buying the former Kmart property in 2012 and holding onto it until the right suitor came along. 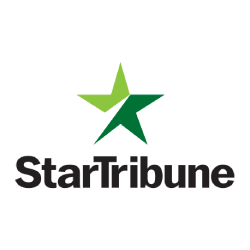 Not long after, the Iowa-based company picked the New Hope site to help the grocery chain make its big debut in the Twin Cities. On her recent shopping trip, Hemken thumbed through her coupons and zipped through the aisles, pushing her cart like she drives her speedy Dodge Challenger. She spotted longtime New Hope resident and Hy-Vee worker PJ Peterson as she hunted for macaroni near aisle 3. “Hi, Mayor, how are you?” he called out. About 580 employees work at the store. Regular shoppers know some by name, including James Sloan, who is blind and bags groceries. Students from nearby Cooper High School also work there, with some saying it’s a needed job hub in an area where jobs for teens can be hard to find.